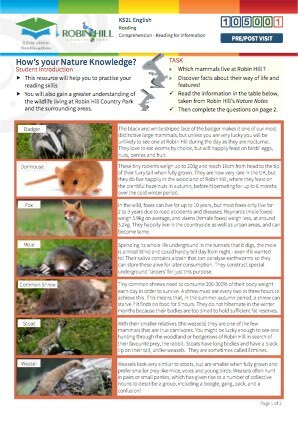 How's your Nature Knowledge? 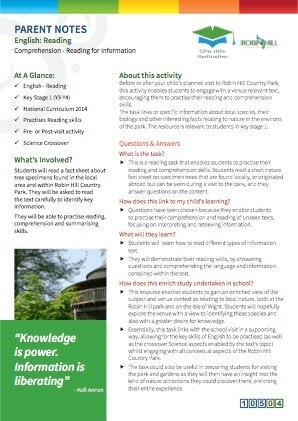 Reading for Information. 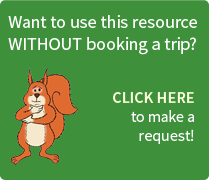 Want to use this resource without booking a trip? 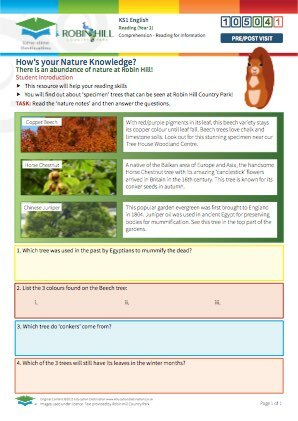 Year 2 students read an extract from Robin Hill's 'Nature Notes' on specimen trees, and answer questions that demonstrate their understanding of the information contained therein. 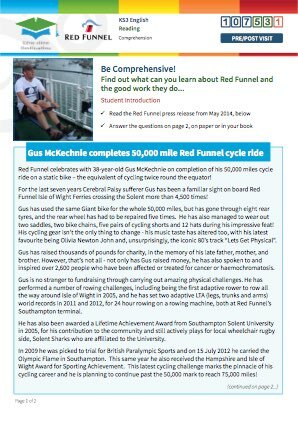 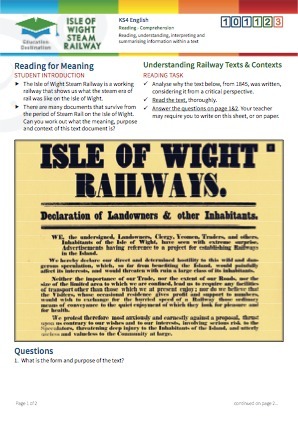 Ideally for high ability - could be used as a low ability resource for KS2L. 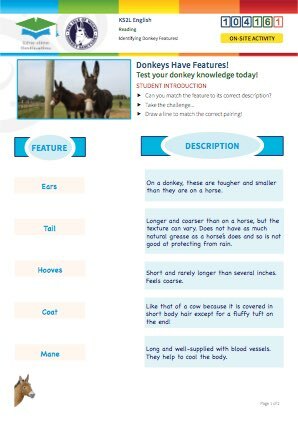 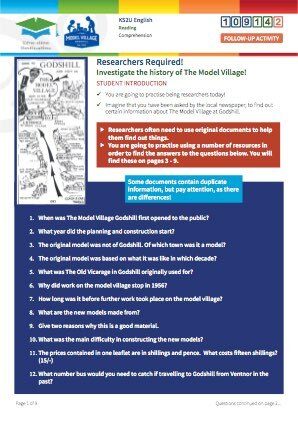 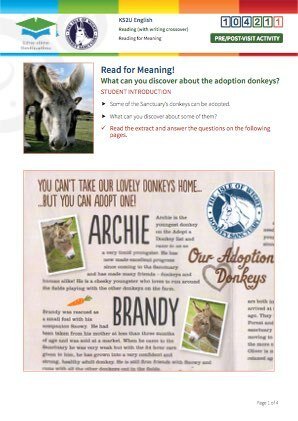 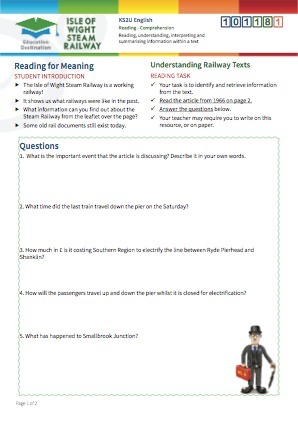 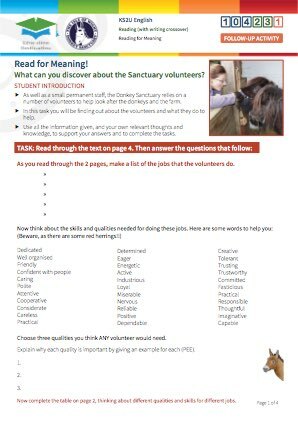 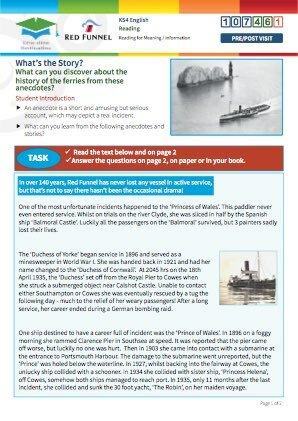 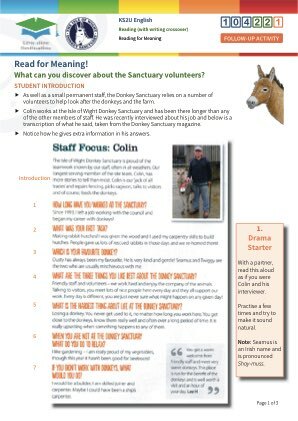 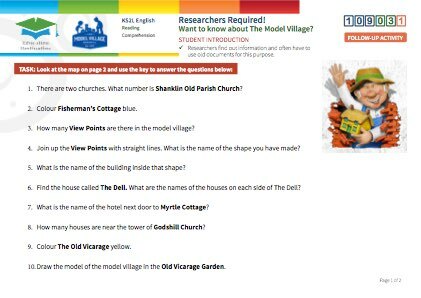 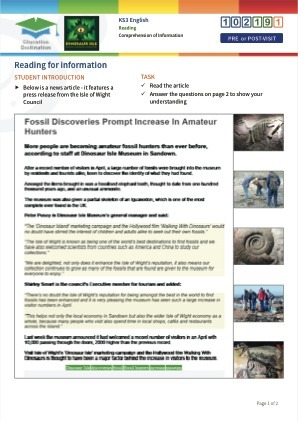 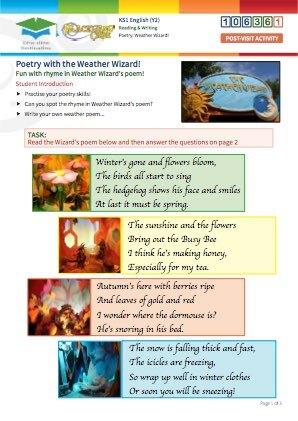 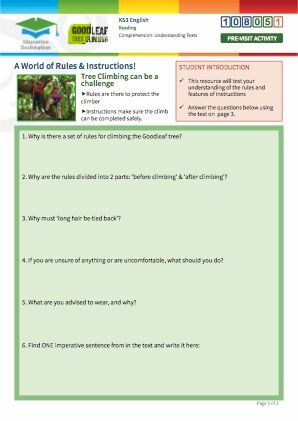 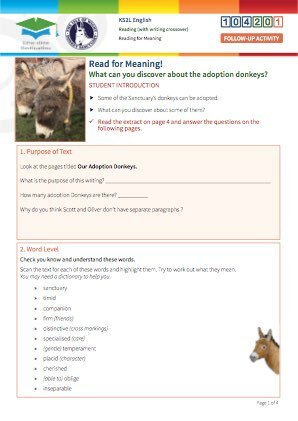 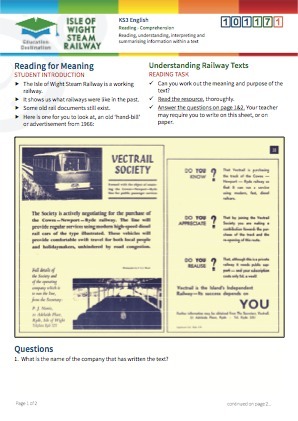 This pre-visit activity enables students to engage with a venue- relevant text, encouraging them to practise their reading and comprehension skills. 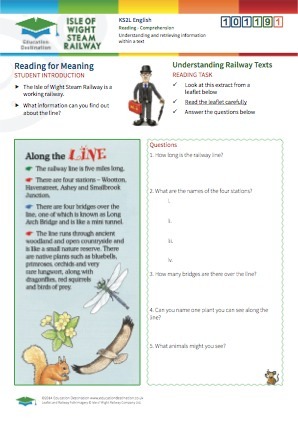 The main focus of the task is reading for information, and being able to synthesise and summarise their understanding. 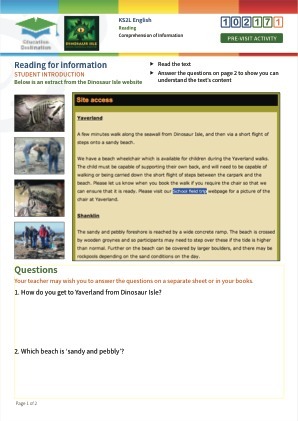 The task links to specific information about the features and biology of local species and other interesting facts relating to nature in the environs of the park. 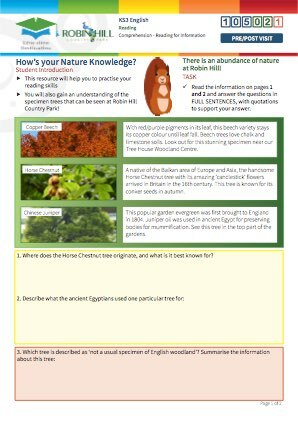 Students read a brief nature fact sheet on specimen trees that are found locally or originate abroad, and could be seen during a visit to the park, and they answer several questions on the content. 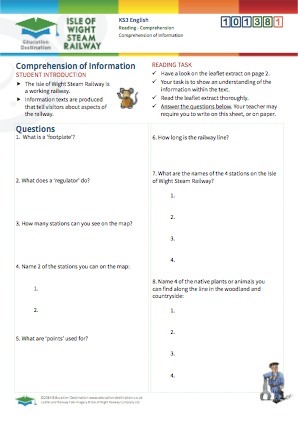 This is a peripheral pre-visit resource, which could also be used post- visit if required. 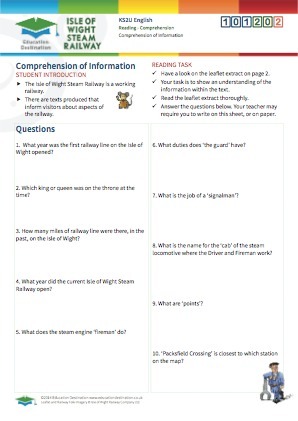 Ideally, students complete the activity before they visit. 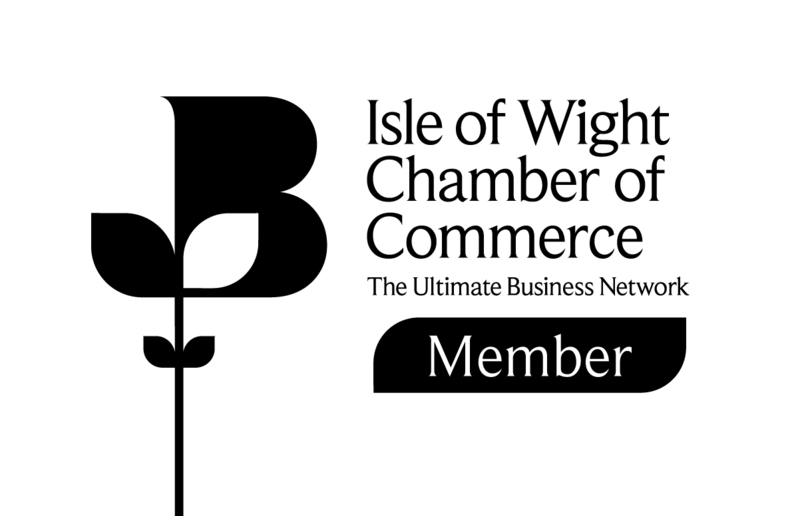 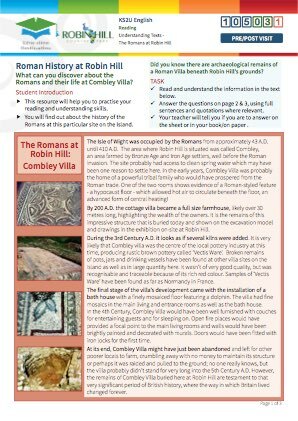 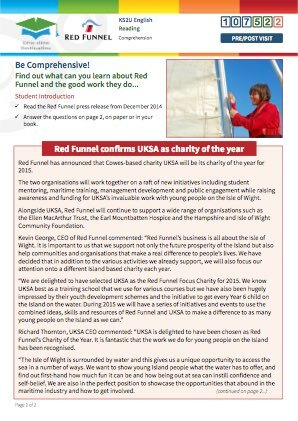 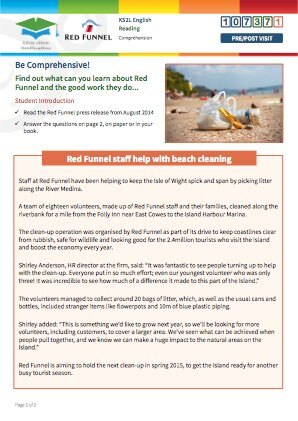 This enables students to not only practise their English skills in reading, but to also gain an enriched view of the subject and venue context as relating to local nature, both at the Robin Hill Country Park and on the Isle of Wight. Students will therefore explore the venue with a view to identifying these species of tree and also with a greater desire for knowledge. 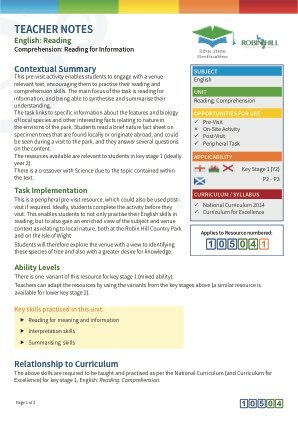 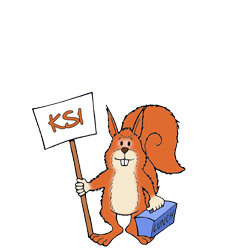 Activities could be completed on-site if a suitable space could be found, however this resource is designed as a pre-visit classroom or homework activity.